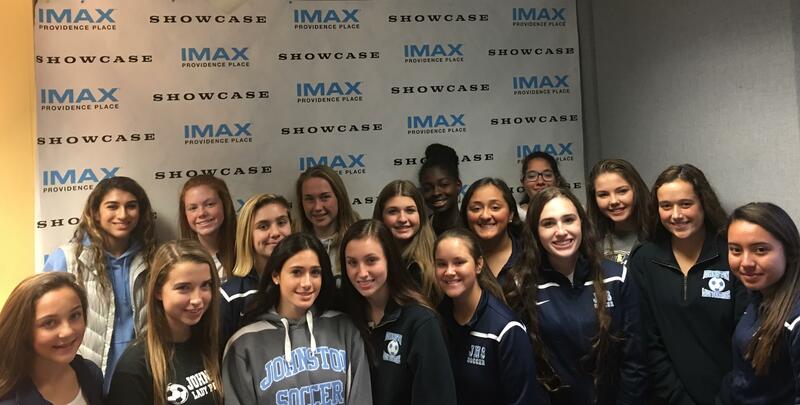 Congratulations to this week’s Showcase Cinemas High School Team of the Week: Johnston Girls Soccer! After a heartbreaking overtime loss to East Providence in last year, Division III Championship, which was ultimately decided in a shootout, the Johnston girls soccer team entered this season determined to get another shot at the title. The Panthers achieved just that, defeating Lincoln School in the semifinals to earn a rematch with the defending champion Townies in this year’s Division III Championship. After falling behind, 1-0, to East Providence in Sunday’s title game at Rhode Island College, Johnston rallied back with second-half goals by Gabriella Scarcella and Bianca Robbins and held on for the win, capturing their high schools first-ever soccer championship by either the boys or girl soccer teams. Johnston has only one regular season loss in the last two seasons which is a tremendous accomplishment for the players and coaches, Tim Sprouls and Amanda Areson. Although proud of their accomplishments on the field the team also takes great pride in their yearly “Pink-Out” fundraiser for the Gloria Gemma – Breast Cancer Foundation and this year’s tribute game for The Maddie Pott’s Memorial Fund.